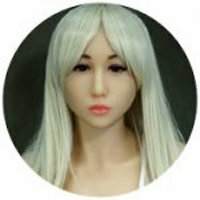 Doll Forever, also known as Doll 4ever or D4E, is a Chinese supplier of TPE love dolls. The Chinese supplier produces innovative TPE love dolls, which feature some interesting enhancements. Among others, these novel features include a skeletal construction that allows standing without screws poking through the soles of the feet. Another unique feature in the TPE doll segment is that D4E replaced the gooseneck with hinged joints. Hinged joints do not creak when moving, and they increase the robustness of the doll's neck. Also, wrists and ankles are also fully hinged. The vaginal canal is truly closed - there's no TPE plug that can get loose and allow enter the doll, causing the skeleton to rust. A new TPE blend called "Premium TPE" promises excellent softness and elasticity, strong ability to resist deformation, and the material has a very good resilience and tear resistance. At launch time, Doll Forever presents three different body styles, the medium-sized D4E-135, and the life-size models D4E-155 and D4E-165. For the medium-sized body style there are three different heads to choose from, and there are already three heads for the two life-size body styles as well. Another interesting product is the D4E Torso Legs. It can stand on its own feet, like the full-sized dolls, but it can also be attached to a specially designed stand. The D4E-165/B is a female TPE love doll by Doll Forever. The D4E-165/B has a body height of about 165 cm (with head) and weights ca. 31 kg. Body measurements: 79 cm (breasts) / 61 cm (under bust) / 52 cm (waist) / 81 cm (hips) / Shoulder – 36cm / Arm Lenght – 48cm / Leg Lenght – 85cm / Feets – 21.5cm. The D4E-155 is a female TPE love doll by Doll Forever. The D4E-155 has a body height of about 155 cm (with head) and weights ca. 29 kg. The FIT-155/F is a female TPE love doll by Doll Forever. The FIT-145/F has a body heigth of about 155 cm (with head) and weights ca. 32 kg. Body measurements: 78 cm (breasts) / 56 cm (under bust) / 51 cm (waist) / 82 cm (hips) / 26.5 cm (neck) / 35 cm (shoulder) / 38 cm (thight length) / 45 cm (thigh circumference) / 45 cm (low leg length) / 29 cm (calf circumference) / 27 cm (upper arm length) / 21.5 cm (upper arm girth) / 23 cm (forearm length) / 21 cm (forearm girth) / 19.5 cm (foot length). The D4E-146/C³ aka Venus is a female TPE love doll by Doll Forever. The D4E-146/C³ has a body heigth of about 146 cm (with head) and weights ca. 27,5 kg (manufacturer specs). This doll features three breasts! Body measurements: 82 cm (breasts) / 58 cm (under bust) / 52 cm (waist) / 78 cm (hips) / 31 cm (shoulder) / 31 cm (thigh length) / 43 cm (thigh circumference) / 44 cm (lower leg length) / 28 cm (calf circumference) / 25 cm (upper arm length) / 21 cm (upper arm girth) / 18.5 cm (foot length). 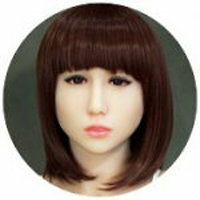 Hong (D4E #5) is a female head for TPE love dolls by Doll Forever. Li (D4E #6) is a female head for TPE love dolls by Doll Forever. 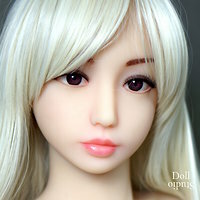 Xi (D4E #3) is a female head for TPE love dolls by Doll Forever. 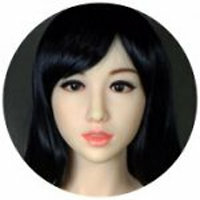 Xuan (D4E #4) is a female head for TPE love dolls by Doll Forever. 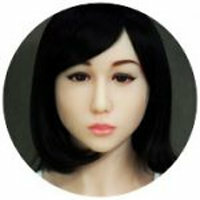 Yan (D4E #2) is a female head for TPE love dolls by Doll Forever. 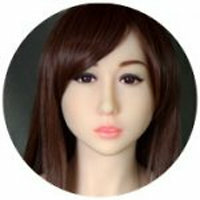 Yuko (D4E #1) is a female head for TPE love dolls by Doll Forever. Sabrina (D4E #7) is a female head for TPE love dolls by Doll Forever. 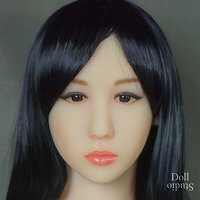 Mulan (D4E #8) is a female head for TPE love dolls by Doll Forever. Bella (D4E #10) is a female head for TPE love dolls by Doll Forever. Celia (D4E #13) is a female head for TPE love dolls by Doll Forever. The ›Celia‹ head is made of TPE. Wig Jf0004 (formerly No. 1) by Doll Forever fits to TPE love dolls D4E-135, D4E-155, and D4E-165. 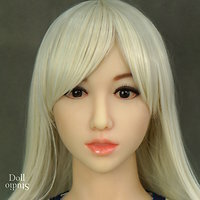 Wig Jf0002 by Doll Forever fits to TPE love dolls D4E-135, D4E-155, and D4E-165. It replaces the former wig no. 2. Wig Jf0001 (formerly No. 3) by Doll Forever fits to TPE love dolls D4E-135, D4E-155, and D4E-165. Wig Jf0005 (formerly No. 4) by Doll Forever fits to TPE love dolls D4E-135, D4E-155, and D4E-165. Wig Jf0003 (formerly No. 5) by Doll Forever fits to TPE love dolls D4E-135, D4E-155, and D4E-165. Wig Jf0006 (formerly No. 6) by Doll Forever fits to TPE love dolls D4E-135, D4E-155, and D4E-165.